The weekly crude oil stockpiles report confirmed the estimates and indicated a drop of 1 million barrels. As such the sell off in US crude prices was more the result of a strengthening dollar, which put downward pressure on the whole commodity market. WTI closed $0.51 lower at $94.57 amid news that the Ukrainian cease fire agreement remains murky. Although it stopped short of saying the words 'Quantitative Easing', the European Central Bank said it will start buying private assets, which in turn spurred gold buying as a wealth preservation alternative. However, a much stronger dollar was hard to ignore and gold investors eventually threw in the towel, allowing the precious metal to fall $8.0 to $1,260.9. US crude oil posted a sharp rebound yesterday, recouping $1.79 to $95.07 per barrel after the Beige Book survey pointed to ongoing economic strength. The US Department of Energy will release its weekly inventories report today, a day later than normal because of the Labor Day holiday, and the forecast calls for a 1 million barrel draw. 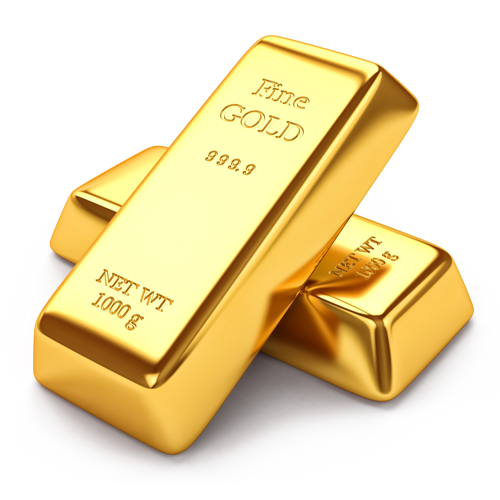 After the violent sell off seen during the previous session, bargain hunters joined the gold market, pushing the precious metal $3.3 higher to $1,269.2. A weaker US dollar provided some support despite a cease fire agreement in Ukraine which reduced demand for safe haven assets. Despite good news coming from the US, it seems that Europe and China are struggling to keep up as their manufacturing reports showed signs of slowdown. Given that the combined output for those two is bigger than the US, the weaker data fuelled concerns within the energy complex of a slump in demand. This saw WTI nosedive yesterday, cancelling out the gains made over the previous few sessions by losing $2.49 to $93.27. With the dollar on a strengthening path and US manufacturing gathering pace, it was hardly a surprise to see gold plunge. The precious metal saw a vicious spike lower, dropping $20.8 to $1,265.7. Despite this, given everything that has been thrown at gold lately, it's worth pointing out that the trend for the last year has remained sideways. With no fear of inflation for now, could geopolitical risk be offering enough support? After a sharp rise on Friday, US crude oil prices paused for a breather, closing rather flat around $95.84 per barrel. With US equity markets closed, the only real direction was offered by the dollar, however, investors were reluctant to commit too much ahead of an eventful rest of the week, with interest rate meetings in Europe and the release of Non-Farm Payrolls data. There wasn't much action for precious metals yesterday, so gold finished marginally lower at $1,287 after trading in a tight range. Markets seem to think that the health of the global economy is currently out-shadowing the potential risks coming from either Ukraine or the Middle East. Strong figures in the US continue to fuel bullish sentiment and support the case for greater oil demand. On top of that, tensions in Ukraine seemed to escalate which helped drive crude prices higher. In reaction, WTI crude posted a sharp rally on Friday, gaining $1.30 to finish at $95.87 per barrel. After a short recovery, gold prices resumed their slump, losing $2.1 to $1,287 as CFD investors were cheered by yet another set of good results for the US economy. Technically, we're still trading around the levels seen at the beginning of April, with the sideways consolidation pattern continuing to dominate the overall picture.